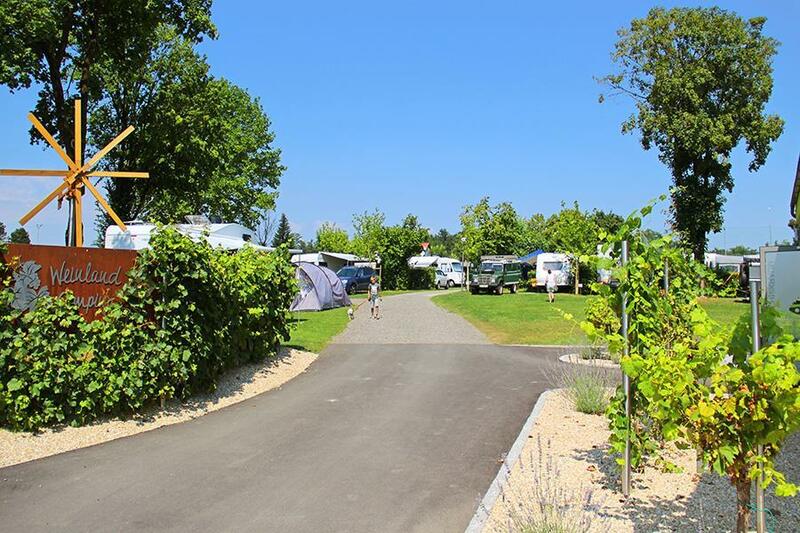 Naturbadesee Weinland Camping is a campsite with 40 touring pitches and 8 year round pitches. During low season, between 01-04-2019 - 30-06-2019, 23-09-2019 - 30-09-2019 and 15-10-2019 - 04-11-2019, the nightly rate is €18,- at one of the 40 touring pitches at Naturbadesee Weinland Camping in Gleinstätten (Styria). At this campsite you can not only use your CampingCard ACSI for inexpensive camping, you can also use your ACSI Club ID (as an alternative ID). Campsite located in the middle of a beautiful wine region with many cycling and walking possibilities. The toilet block was completely renovated in 2018, very modern and perfectly furnished. Very suitable as a transit campsite. Swimming in the open water free of charge. Would you like to book Naturbadesee Weinland Camping or request more information? You can do both using the information below. A9 exit at Wildon 202 towards Preding L603 and at roundabout towards Gleinstätten L303. Or A9 exit Leibnitz 214 follow B74 direction Gleinstätten. CampingCard ACSI will send your information request to "Naturbadesee Weinland Camping".